THE CIRCUS COMES TO SEA CLIFF! 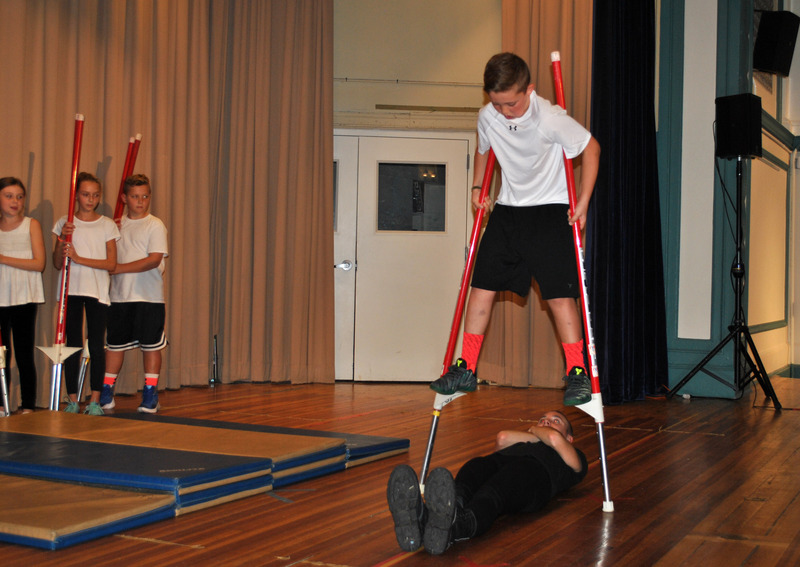 ​November 10, 2016 - The National Circus Project came to Sea Cliff Elementary School for a week-long event that combined physical fitness with circus fun and proficiency. 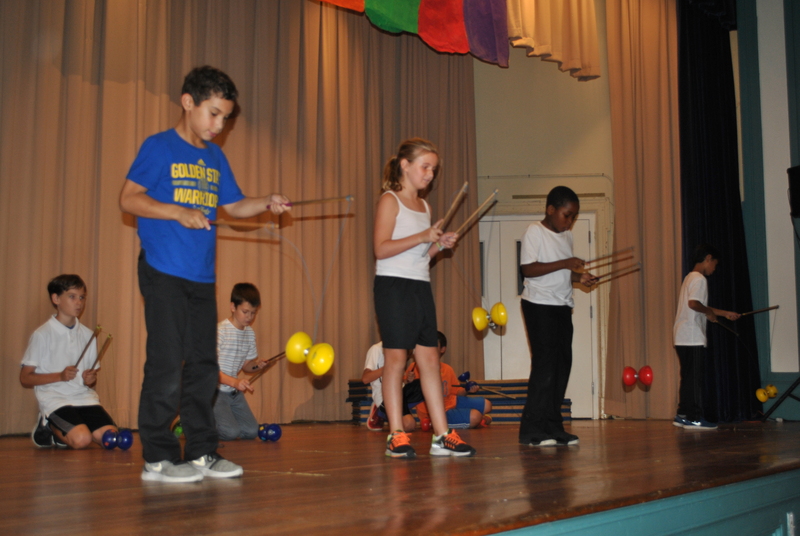 The circus festivities culminated with an in-school “student” circus performance featuring Sea Cliff fifth graders who tumbled, spun plates, walked on stilts, and juggled into the hearts of all those in attendance! This year, there was even a new science laboratory setting on stage! The National Circus Project (NCP) is an innovative cultural arts organization, which promotes student participation in school arts and physical education activities, using “circus” as its theme. 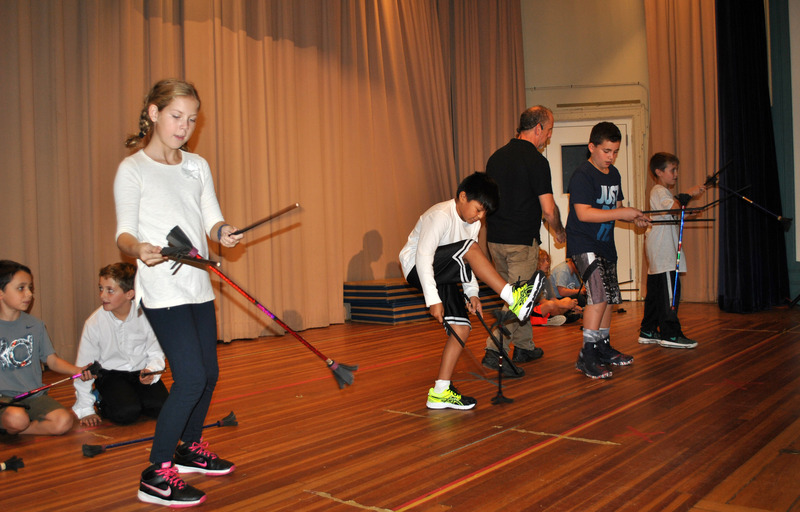 The National Circus Project sends teams of internationally acclaimed circus performer/instructors to schools throughout the U.S.A., where they present exciting circus assembly performances, teach circus skills to students as part of their physical education program – including juggling, balancing, plate-spinning, and “devil stick” manipulation. These activities promote hand-eye coordination, concentration, the benefits of discipline and practice, and group skills. Many thanks to the Sea Cliff PCA and all of the physical education teachers and staff for putting on such an entertaining performance! 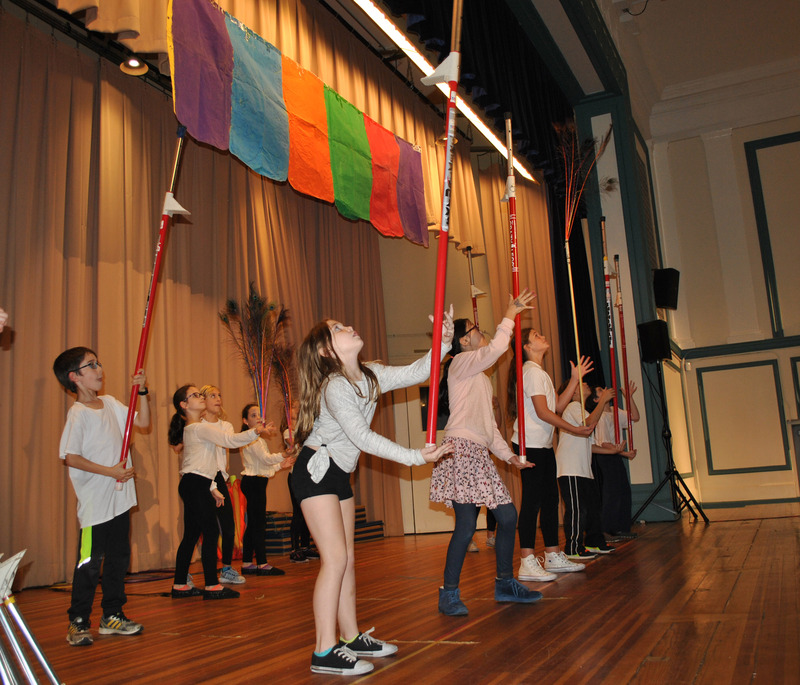 Pictured are Sea Cliff fifth graders participating in a week-long National Circus Project that combines physical fitness with circus fun and proficiency featuring tumbling, plate spinning, stilt walking, devil stick manipulation, and juggling!